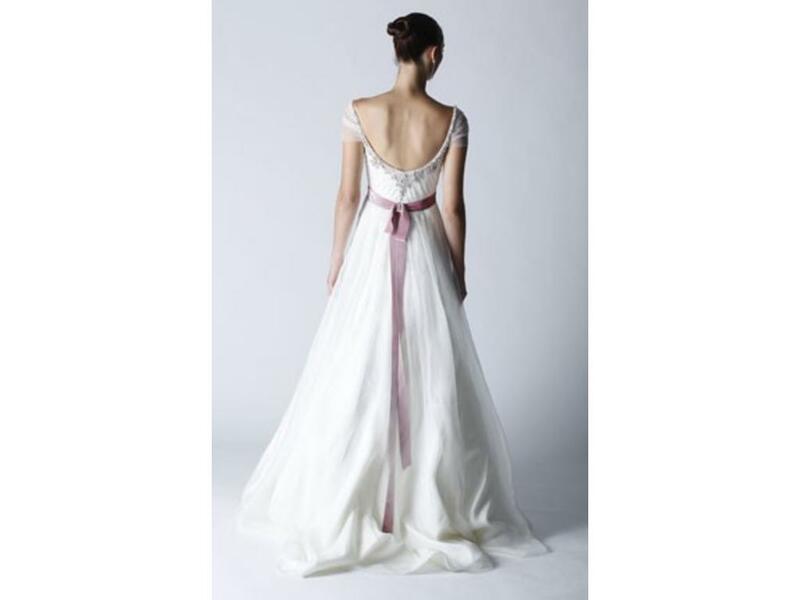 They are all very simple dresses – not much sparkle or details and either ball gown or A-Line. 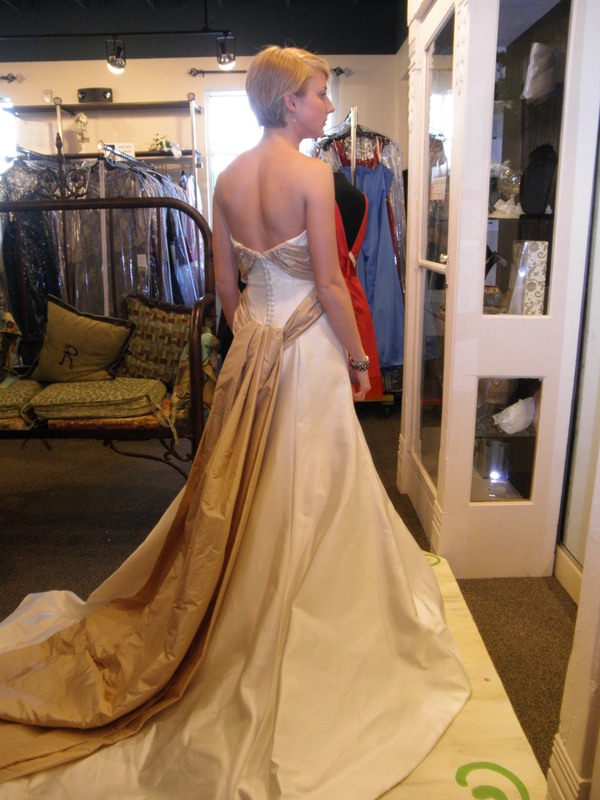 I love low backs, a cinch at the waist, and I preferred sweetheart neckline. The one thing they had in common is that they were all way out of my price range. I was shooting to spend around $1500 – most of these dresses are in the $3,000-$6,000 range. HA! I had a very short dress-shopping experience. It started with my mother and I just randomly popping into a consignment store called Renaissance Consignment by our house one day with zero expectations being that it was the first place we’d looked. I browsed the racks and picked out about 5 that I liked. 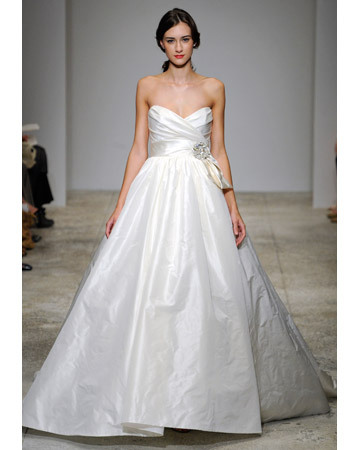 One of the dresses I wasn’t that fond of on the hanger – BUT it was Carolina Herrera and had never been worn. I am a sucker for a designer gown, especially when it’s 75% off. 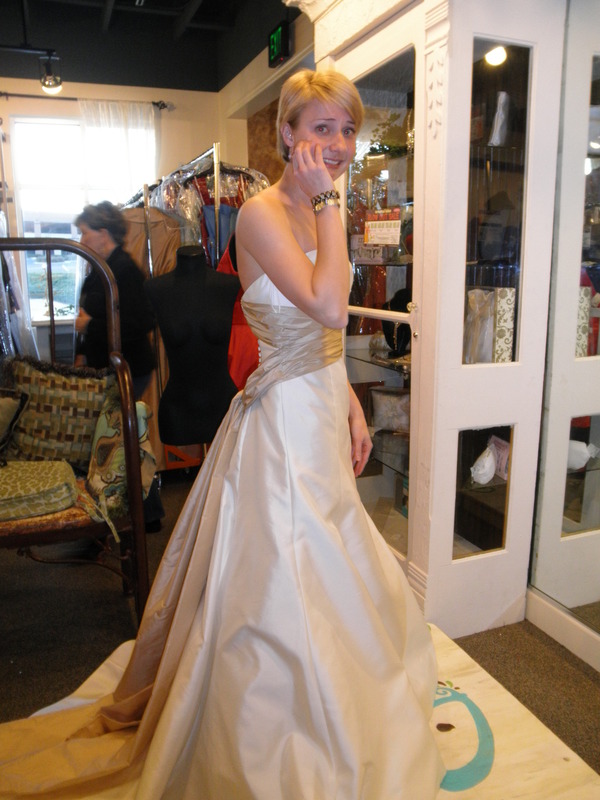 The first dress I tried on was about $400, I liked it, but really the belt made the dress and the belt didn’t actually come with it. I loved the style/silhouette, but the back was plain and I really wanted a jazzy back. And as snooty as this sounds, it was just TOO cheap. 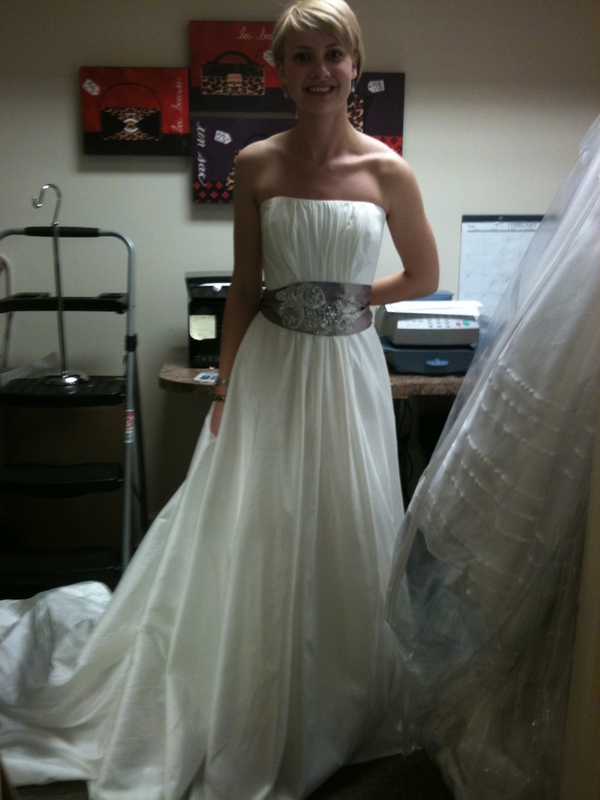 The third dress I tried on was the Carolina Herrera. I didn’t expect to, but I definitely had ‘a moment’. It fit so well and the back was seriously show-stopping. But I didn’t like the neckline that much. I walked out and looked into the big mirror and the back just blew me away. It was enough to make me cry, but not enough to convince me it was ‘the one’ since I had only been engaged 12 days, the wedding was 1.5 years away, I had only tried on 3 dresses, and I had to decide on it immediately. So we put it on hold (for only 2 days, yikes!) 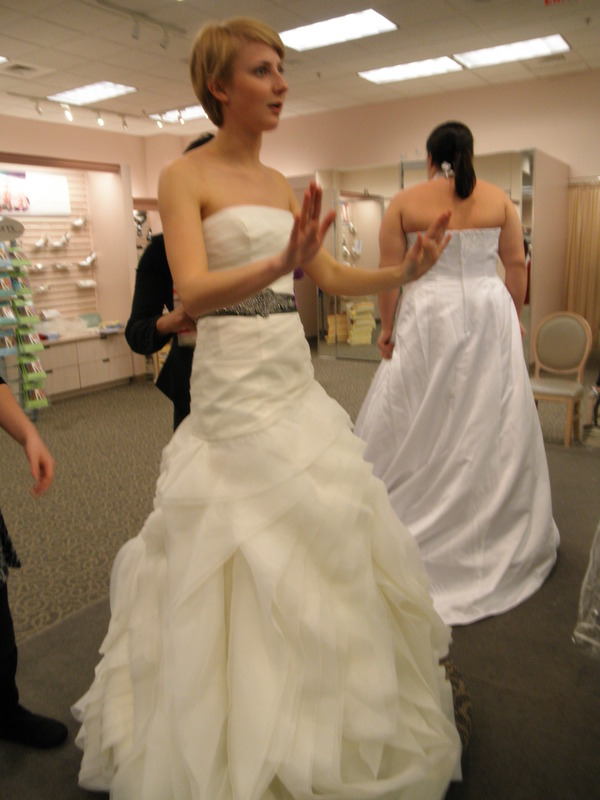 and decided to go check out David’s Bridal since they had a new Vera Wang line out. The front was pretty too. And yes, I am crying here. 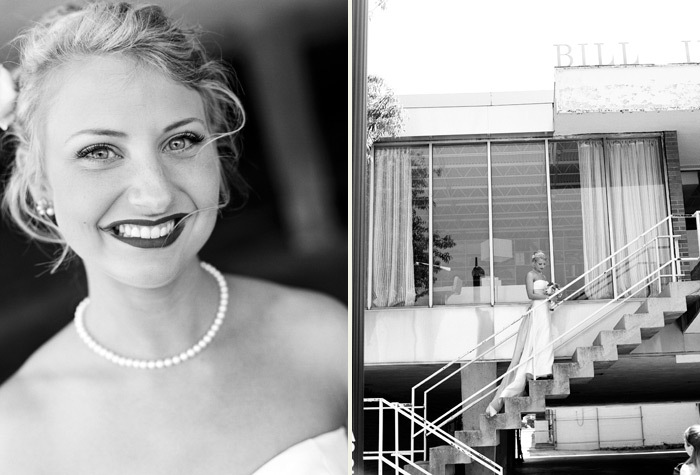 Let me just say to all you finicky designer label snobs like myself out there – David’s Bridal is NOT a wonderful experience service wise, but they certainly have a wide selection of very expensive looking dresses. I seriously considered 2 or 3 from there, but in the end, my heart was set on a designer label. Here’s a few I tried on below. Just my faves. I liked this one – but it was SO trendy. Just too trendy for my taste. This was a Vera Wang White Label gown. This was probably my favorite there – but it really had an uninspiring back and I knew a girl that had worn it before and it looked so good on her, so it kinda took the fun out of it for me. I loved almost everything about this dress. But the belt was sewn-on and kinda chunky. Plus, no awesome back. I loved the neckline AND the back of this dress, but it felt SO youthful, not how I wanted to feel on my very grown-up day. Can anyone say, Cinderella? This is a Vera Wang dress also. TOO. MUCH. DRESS. I could barely walk! So after driving back to school and having some time to really think it over, I decided that with the tiny modification to the Carolina Herrera neckline, that dress was really going to be the one. 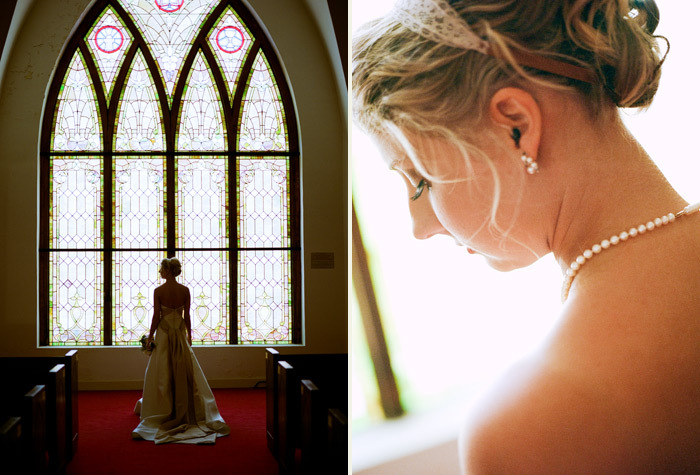 I felt like God had led me to that dress – it had NEVER been worn, had the designer label I craved, fit almost perfect, had a stunning back, had the cinch at the waist, and most importantly was marked down from $5,000 to $1,200. I called my mom, told her to go buy it, and almost immediately felt very relieved that decision was over! My dress is hiked up here – but you can see the neckline! In the end – don’t have your heart set on a specific silhouette – I absolutely did not think I wanted a dress that looked like this, but it was timeless and classic. I knew it would NEVER go out of style. Go into with an open mind and you will end up much happier! I am SO SO happy with the dress I chose and I felt like a million dollars in it.